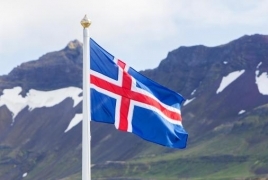 PanARMENIAN.Net - Iceland and the United Arab Emirates are the safest countries in the world for tourists, while South Africa and Turkey are the most dangerous, CountryLiving said citing a new travel safety index. Which? Travel compared 20 of the most popular holiday destinations around the world using crime statistics from the World Economic Forum, natural disaster risk assessments from the World Risk Report, health risk data from the NHS Fit for Travel site and terrorism risk levels from the Foreign Office. The Nordic island was crowned the least risky to visit due to a low chance of natural disasters, along with minimal crime and health risks. The threat of a terrorist attack "can't be ruled out" but is less likely than in other countries on the list. No wonder two million visitors flock there every year. The UAE, which is home to popular British tourist spots like Dubai and Abu Dhabi, came in second with a "likely" risk of terrorism. Singapore was third, followed by Spain and Australia. At the other end of the table, researchers found violent crime levels and health risks – such as Diphtheria, Hepatitis A and Malaria – were at their highest in South Africa. Turkey and Thailand also fared badly. Both countries have a "very likely" probability of terrorism, along with health concerns including Tetanus and Malaria.